The Princess 85 LADY BEATRICE has overnight accommodation located below decks that retains the light and space of the upper level. 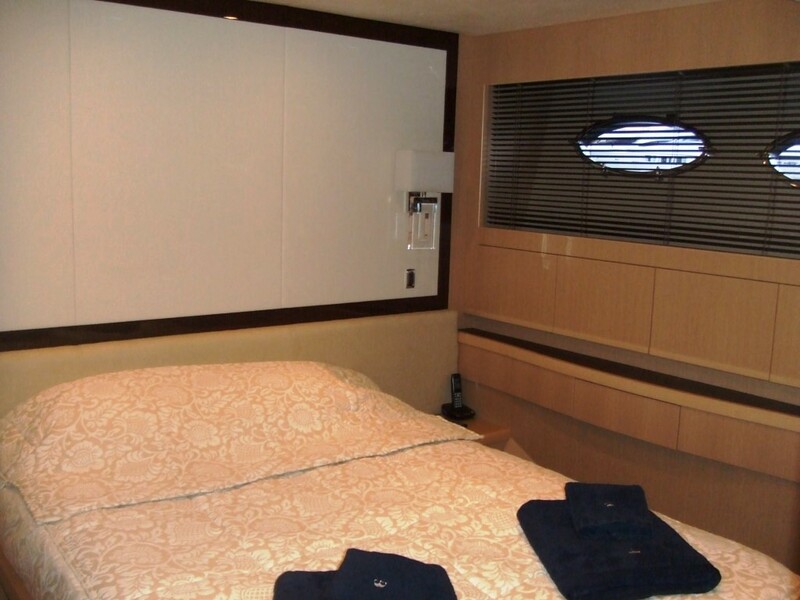 The master stateroom features vast ‘signature’ vertical port lights, as well as a King size bed, Starboard side seating area with table, a Walk-in wardrobe, a Port side dressing table or writing desk with storage, a Refrigerator, a Safe, Intercom and an en suite bathroom. 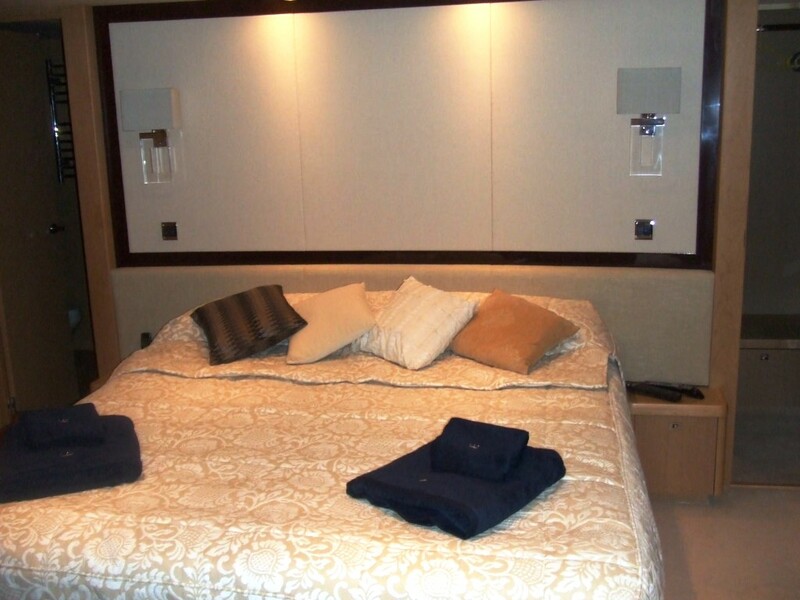 The VIP stateroom forward, and a double and twin cabin situated to port and starboard are also located on this level and all have ensuite bathrooms. Motor yacht LADY BEATRICE can cruise between 23-31 knots has a crew of 4 and is available for charters throughout the Western Mediterranean, based in Mandelieu. Luxury motor yacht LADY BEATRICE can accommodate up to 8 guests in 4 cabins located on the lower deck. 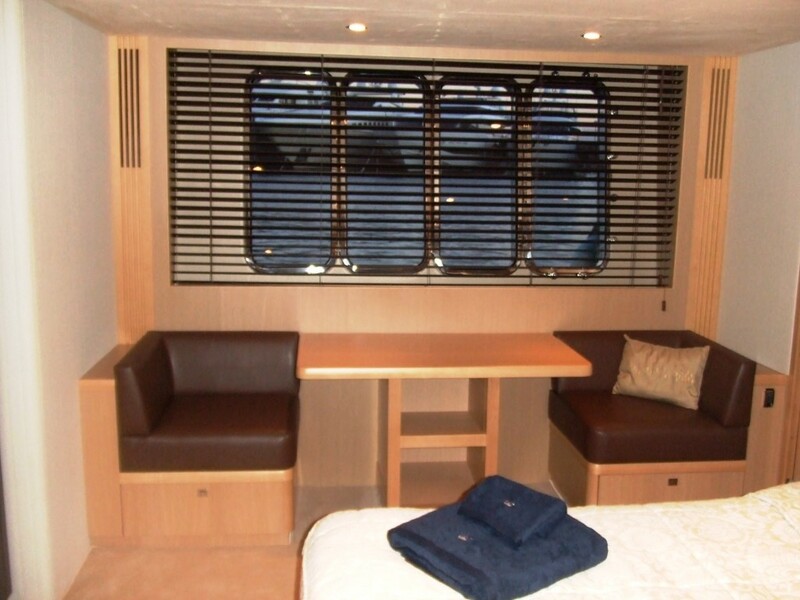 The Master Cabin is located amidships, is full width of the beam and features a King size bed, Starboard side seating area with table, a Walk-in wardrobe, Port side dressing table or writing desk with storage, a Refrigerator, Safe, Intercom and En suite bathroom. 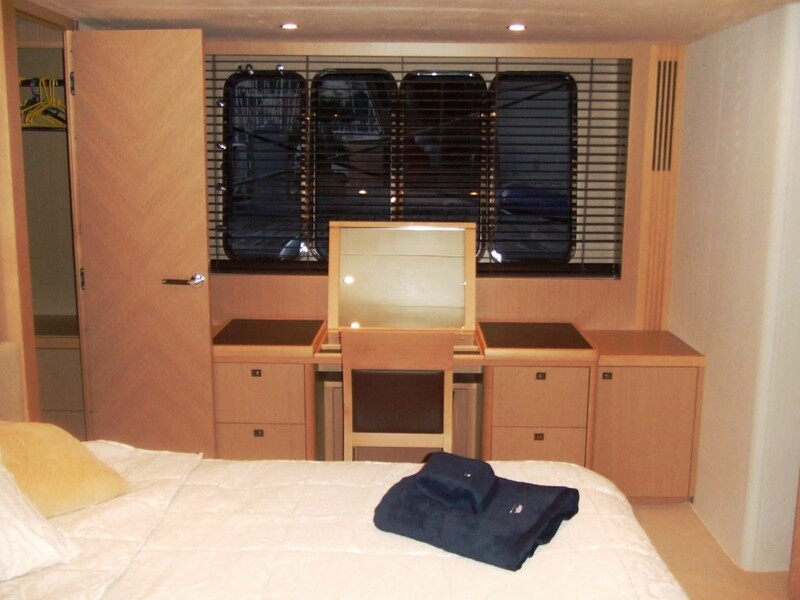 The VIP cabin forward features a King size bed, Walk in wardrobe, Vanity unit and an en suite bathroom. 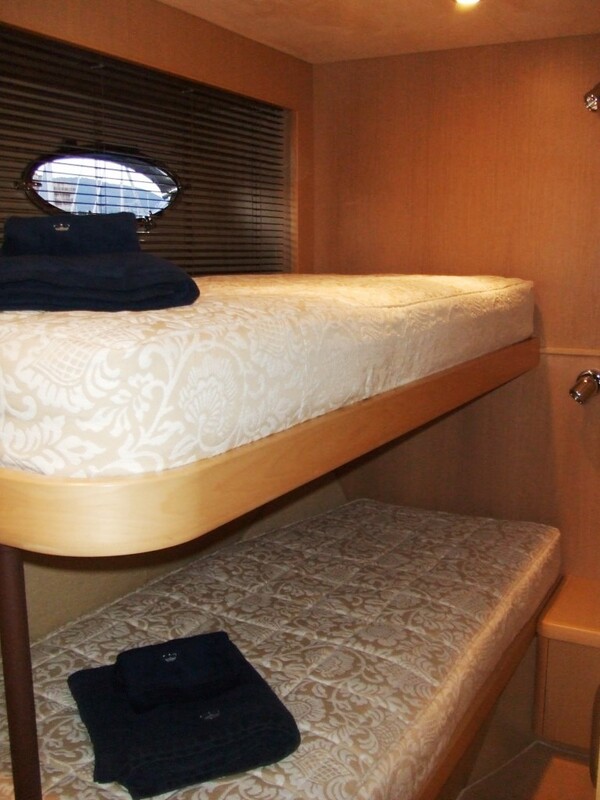 The Double and Twin cabins are located to port and starboard. The double Cabin is fitted with a double bed, Vanity unit and en suite bathroom while the Twin cabin has upper and lower twin beds, and an en suite bathroom. 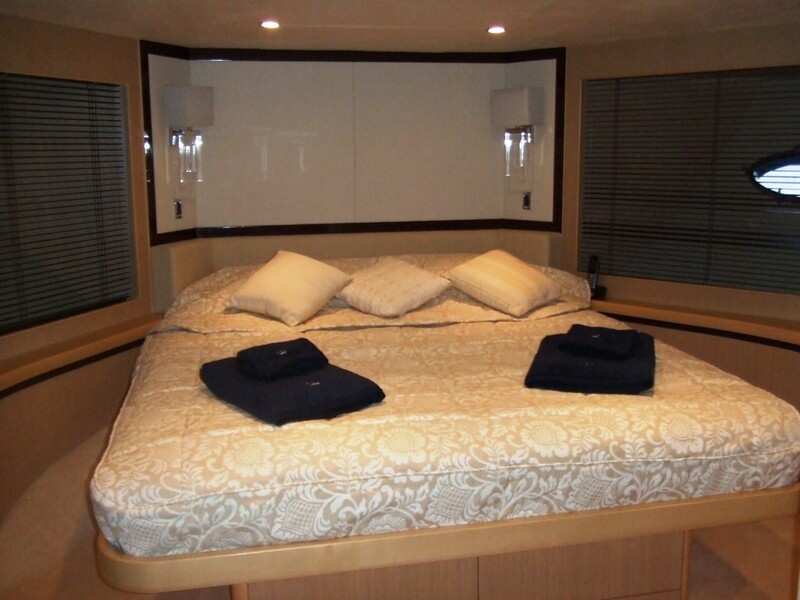 Princess Motor yacht LADY BEATRICE has the following Audio Visual Equipment and Deck Facilities: AN 40” LCD TV with DVD player and surround system, Stereo CD/Radio in the Salon, an LCD TV/DVD with CD/Radio in Master and VIP and an LCD TV/DVD/Radio in the double cabin.